Macro shooting indoors is ideal in the wintertime. Flowers are available at groceries and you can play endlessly with one cheap bunch. Experiment with natural light, reflectors, flash if you have one… gooseneck lamps, penlights… etc. A black piece of foamcore makes a great clean background. 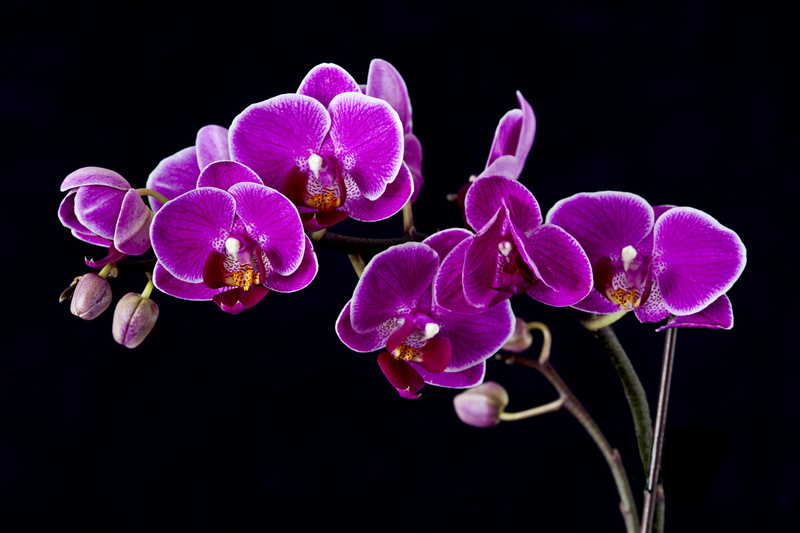 These orchids were simply shot but show their exquisite quality.